The Michigan Wolverine’s Fab 5 might have had to vacate their wins due to NCAA infractions, but their lasting impact is still felt today through seemingly endless highlight reels and on-court style. Chris Webber, Jalen Rose, and Juwan Howard championed baggy shorts, Huaraches, and black socks and now they have another piece of memorabilia with this insane Air Jordan 5 “Fab 5” PE. Jordan Brand hasn’t skipped a beat during their brief time as the Wolverine’s sponsor. 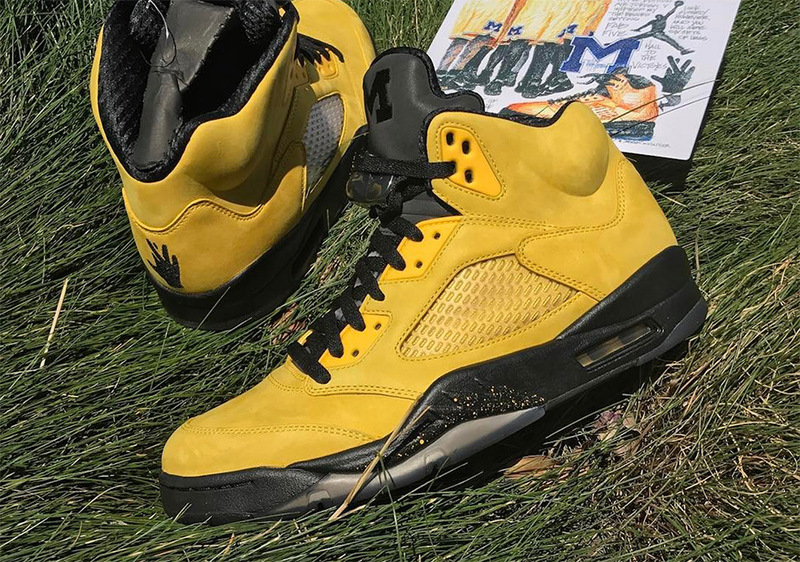 We’ve seen Coach Jim Harbaugh give the Pope a different Air Jordan 5 “Michigan” exclusive while basically every retro Jordan numbered 1-14 appeared in the Jordan “Michigan” PE Collection. The Jordan 5 Fab 5 PE might be the best of them all though, thanks to a vibrant yellow upper, black midsole and 3M tongue to represent their black socks and longer-than-usual shorts. 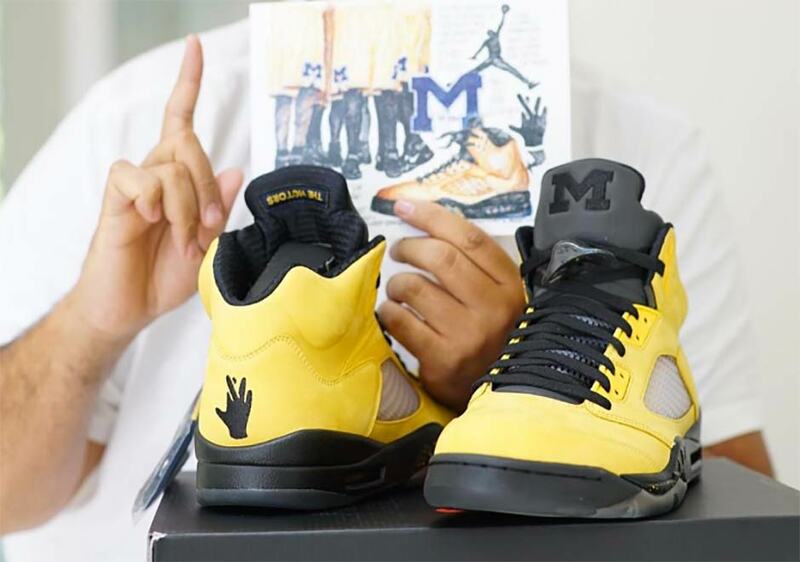 A unique hand logo references their high fives and Fab 5 nickname on the heel while Michigan’s ‘Hail to the Victors’ motto hits the inner tongue lining. Check out more photos of this outstanding PE below and stay tuned for more updates in the future right here on Sneaker News.